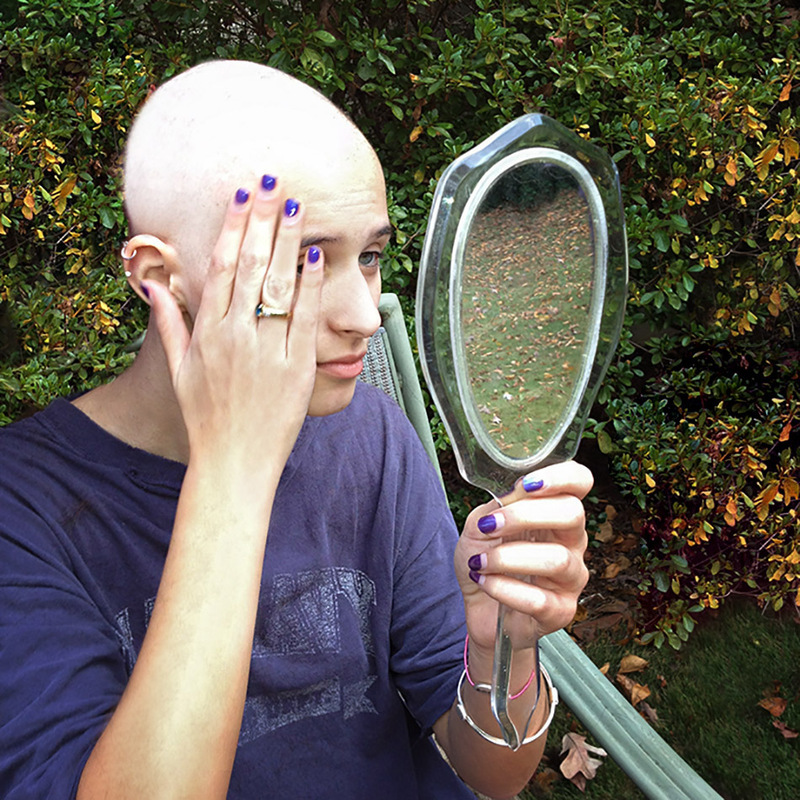 After Summer’s second round of chemo, her hair started falling out in chunks. It’s been really hard for her to see hair all over her pillow in the morning. 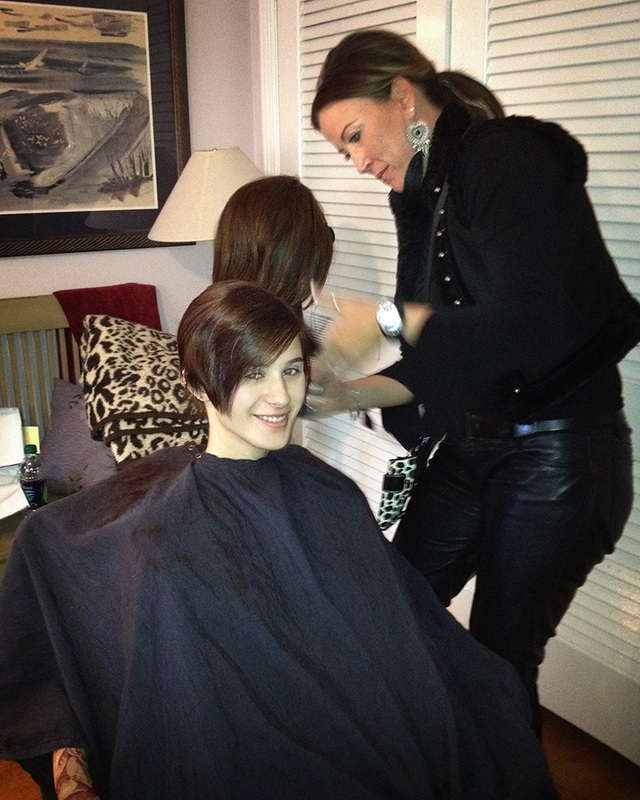 At first, a short hair cut seemed like the answer. But that cute look didn’t last long; her hair started coming out by the handful. So Summer called it. 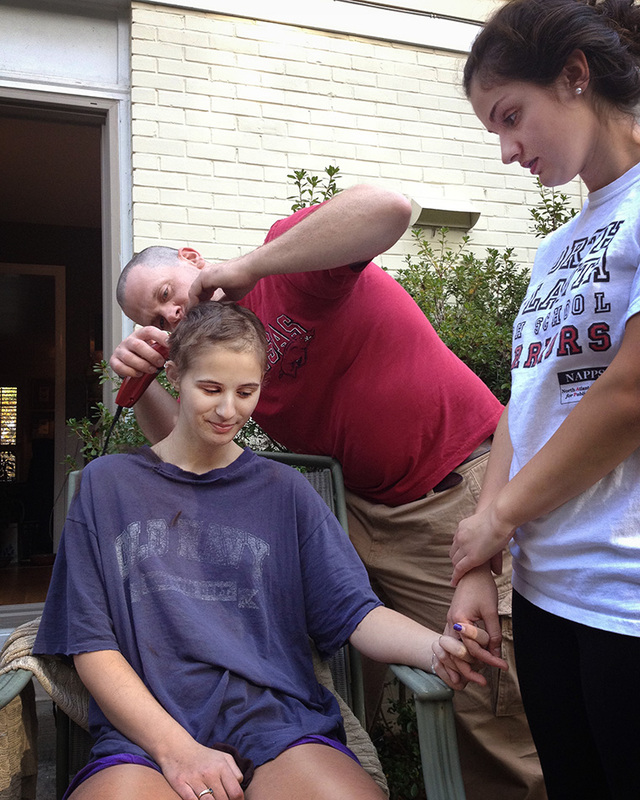 It was time to shave her head. 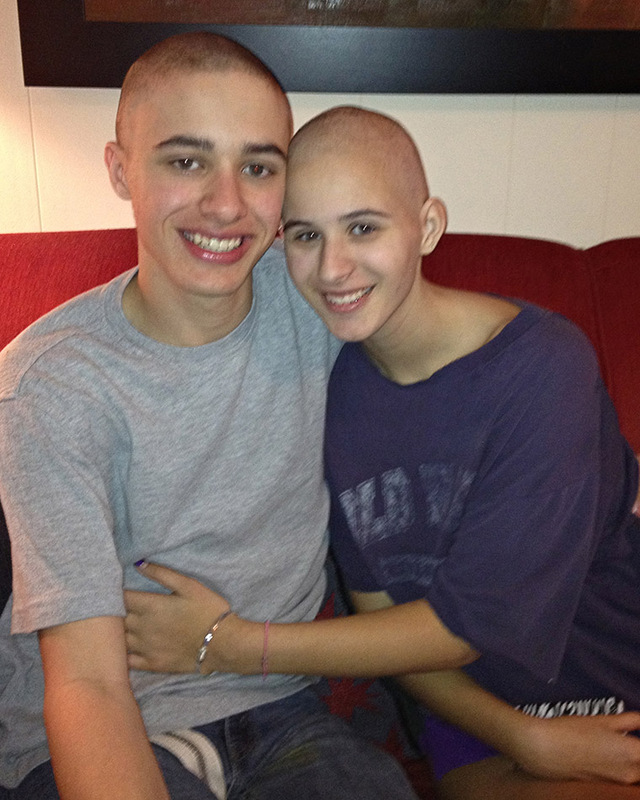 Summer’s best friend, Sierra, held her hand as her step-brother, Jared, did the honors. And then it was gone. All of it. 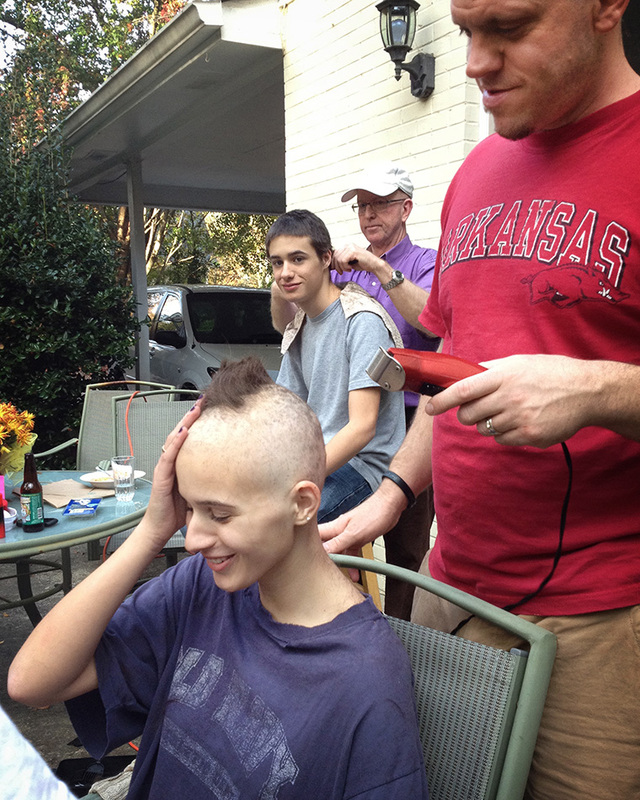 As a sign of solidarity, Summer’s twin brother, Jordan, had his dad shave his head, too. 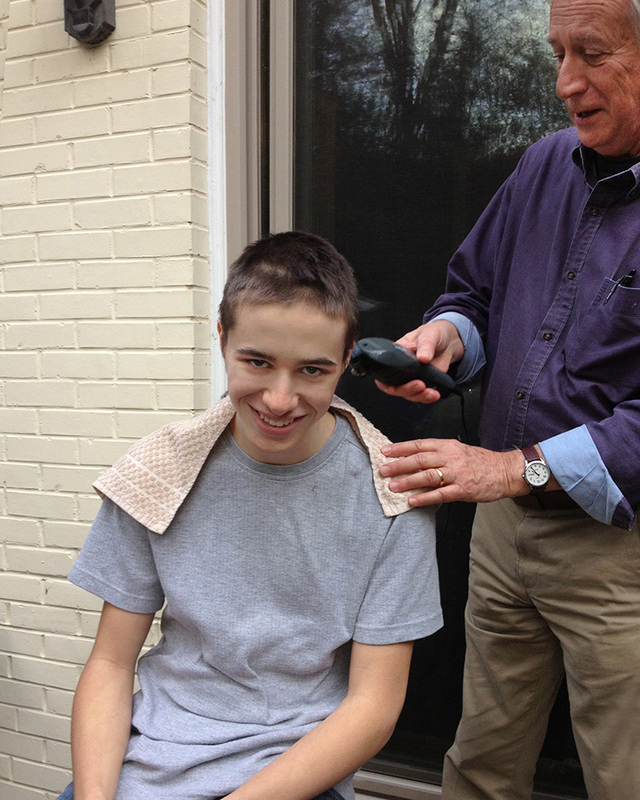 And Jared stepped up. And then some neighbors. 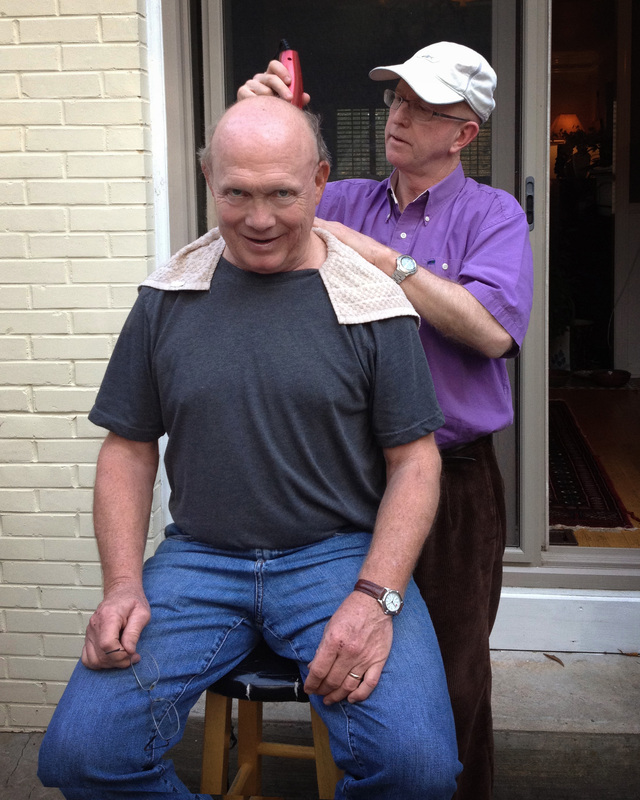 Yup, it was a shaving party! It’s not a day anyone would wish for, but if a day like this has to come, it’s best not to be alone. And on this day, Summer certainly was surrounded by people who love her.